I made this project bag for a swap I am doing. It was fast to make! 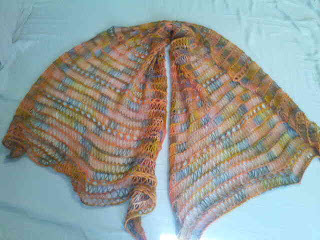 This shawl was made with my Peneo yarn colorway from Storied Yarns. My one skein shawl is complete! Two friends and a family member had babies! 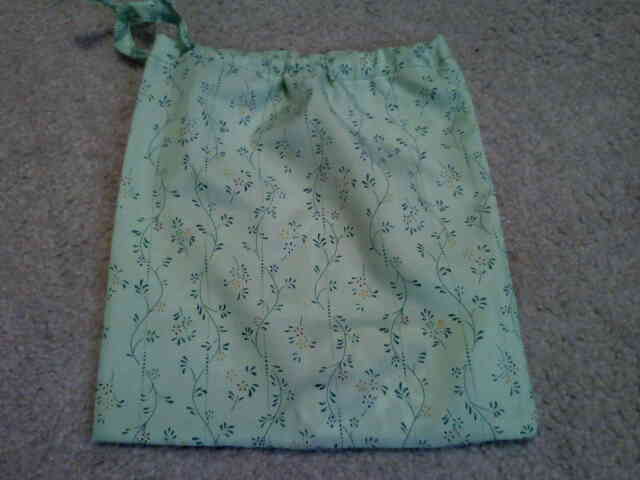 Here is one of the handbags I made. 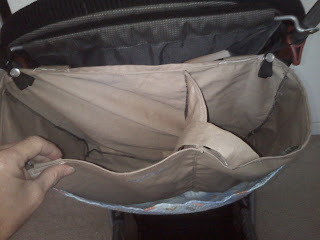 While my kids were young I remember trying to place bags on my stroller and needing one more, but it wouldn't fit. 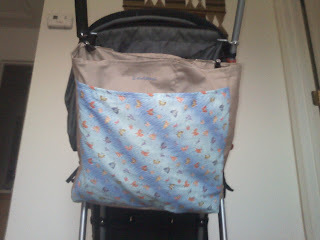 I needed one that I could place close to the stroller and still have access to the basket under the stroller. 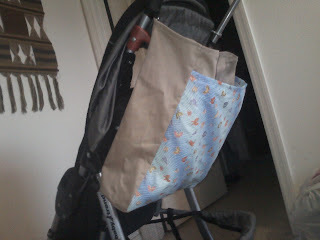 I placed a 2 ribbons on top of the bag that can snap around the stroller on top. 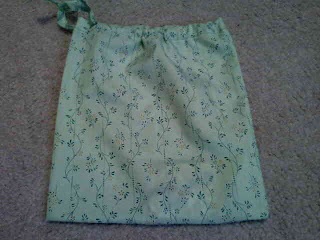 You can see the snaps on the right and left of this bag at the top. I also made them each a wrap that they can carry there baby close to them. It is a long piece of fabric that you wrap around you and the baby. That is why there are 2 separate areas inside this bag. One side is for the wrap, The other is for, toys or what ever they need. There is also a front pocket for whatever you would need as well. When I finish the other two bags, I will show how the baby wrap fits inside this bag. I had one day to finish this hat, so I knit on this hat all day at Island's Of Adventure. 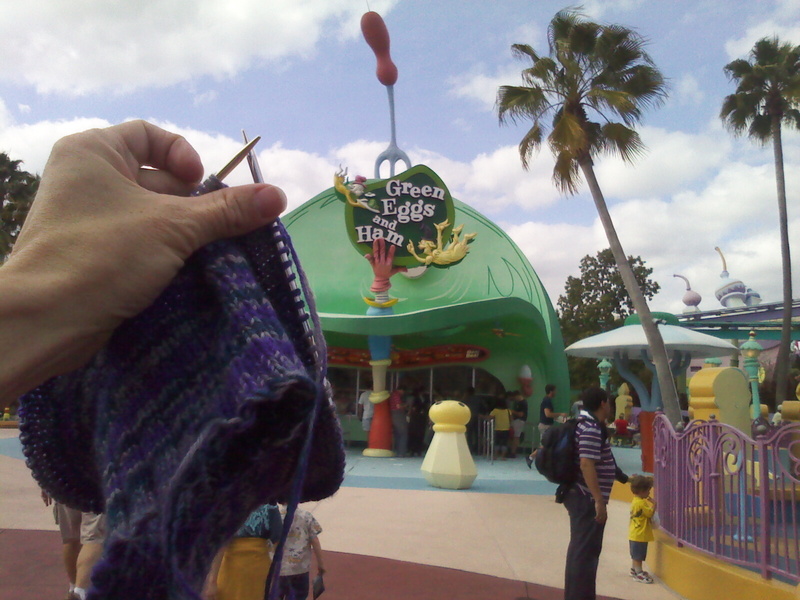 You can get a lot of knitting done standing in lines. I had to stretch it as far as it would go. My daughter put it on and was a tad small. 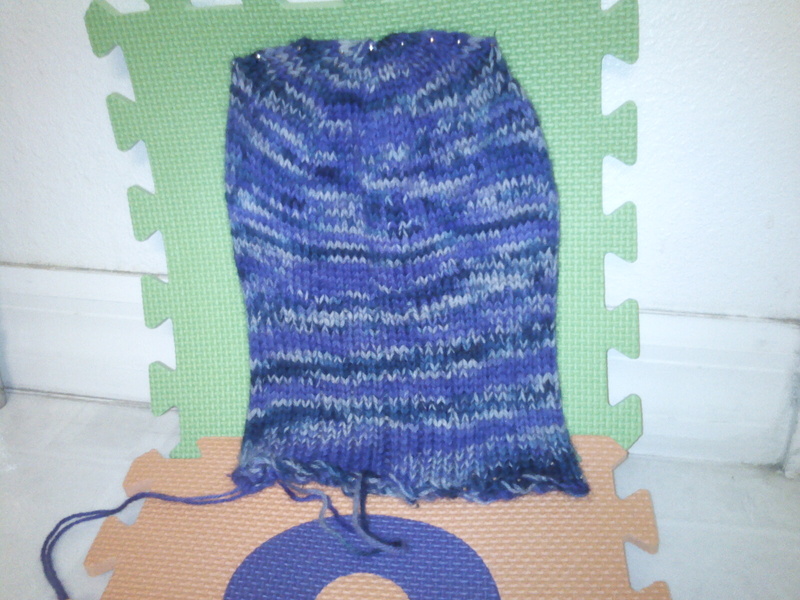 I have a tad bit of yarn left. 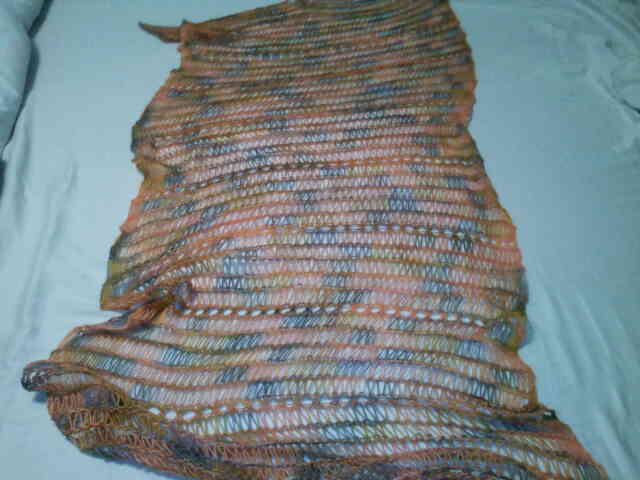 I am hoping to do 1 round of a crocheted edge. I love this colorway. I knit this hat double stranded to simulate a worsted weight yarn. It worked out pretty well. I think I am on a hat kick! Draco's Pure Bloods and Dark Arts: The Last Item Finished! This is an item I made for the Harry Potter swap I was in: Draco's Pure Bloods and Dark Arts: The Last Item Finished! : " Front of wallet/ card holder B..."
Draco's Pure Bloods and Dark Arts: The Needle case is finished: "This is the needle case I made from a Harry Potter t shirt. 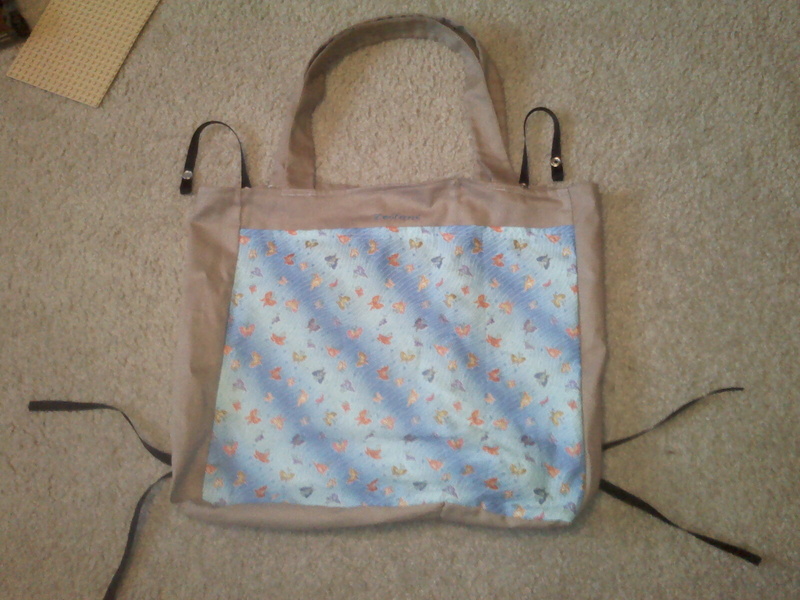 I will be making a project bag and a wallet with the rest of the tshirt. I am ..."